There will NEVER be the perfect time to do a Lap of Aus....so just GO! There will NEVER be the perfect time to do a Lap of Aus….so just GO! Kelly from Out Of Oﬃce Aus recently posted on Facey about her preparation for her families lap of Aus, and we loved her honesty about being a confessed organiser and booking many campsites before they leave! 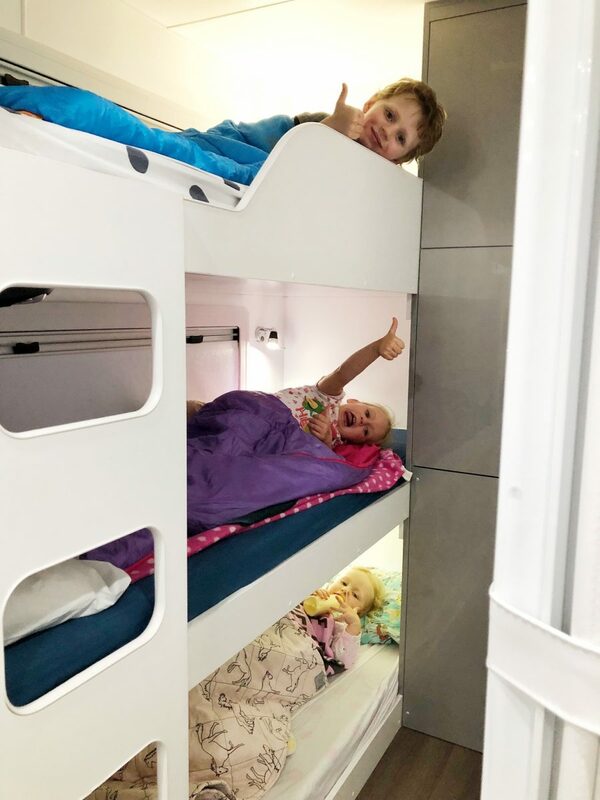 Many families go with the flow, however the Forster family are not going to miss out on any of the campsites or places that they’ve only dreamt about! Turning dreams in reality – the organised way! We are very excited to see where their travels take them… Real Stories from Real Families! We are the Forsters or “Out Of Oﬃce”… a family of ﬁve from Sydney who have had enough. Had enough of the work, life, school, day care, kids activities juggle. Oh not to mention being completely jack of a commute across Sydney twice a day, every day for work! So in 2019 we’ve decided to “prioritise what matters most”! We’ve thrown in our corporate jobs for a year and setting oﬀ in our VW Amarok and brand spanking new Franklin Caravan. The “big lap” is something that we’ve always dreamed of doing, both of us are avid adventure travellers and our 3 kids (all under 7) absolutely love camping. They love the freedom of being able to explore, getting grubby and making friends at a campsite. Ask any family who’d like to do the lap of Aus and they’ll tell you, as we also felt, there will never be the perfect time. Financially, career wise, kids wise, schooling… there’ll always be some kind of road block. And there were plenty of road blocks for us but we just decided “you know what, let’s just bite the bullet and do it”. 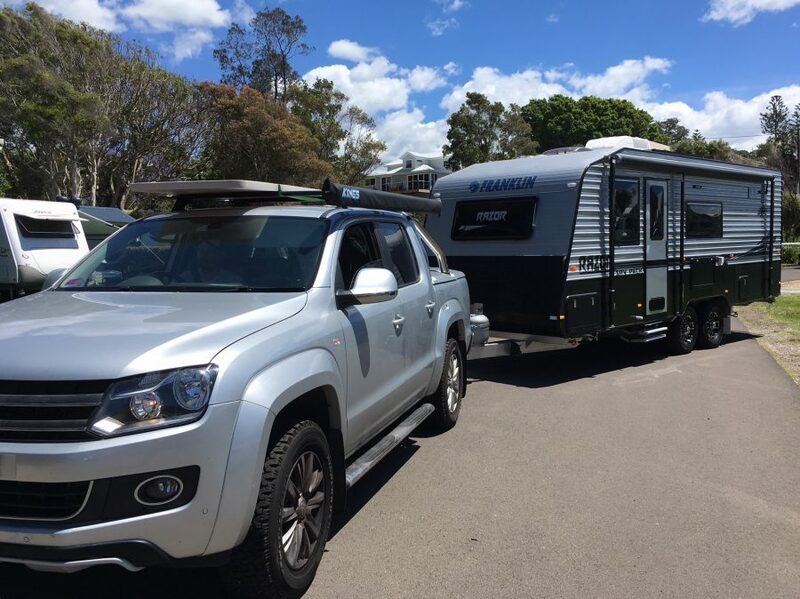 We headed out to Sydney RV Group and before we knew it, we’d taken delivery of new caravan. A few forms later and our 6 year old is enrolled in Distance Education and we’ve rented out our house. What else could there possibly be to organise?? I’ve even found Kmart close to our ﬁrst stop incase we forget anything! While we are beyond excited to see the incredible spots Australia has to oﬀer, we are equally pumped about just chilling out! About relaxing as a family, about eating dinners on the beach, about not even knowing that it’s Sunday night and there’s a week ahead us. Our lives prior to leaving are like a college timetable racing from one activity or commitment to the next. Our motto for this trip is to “prioritise what matters most” and that’s what we can’t wait to do. 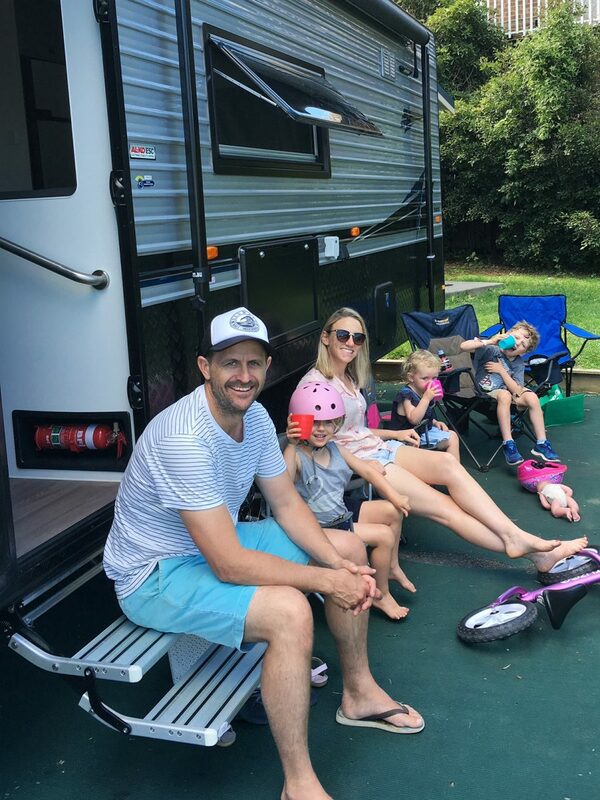 We’ve set up our @outofoﬃceaus blog with the hope to inspire others to get out there and connect as a family through travelling in a caravan. 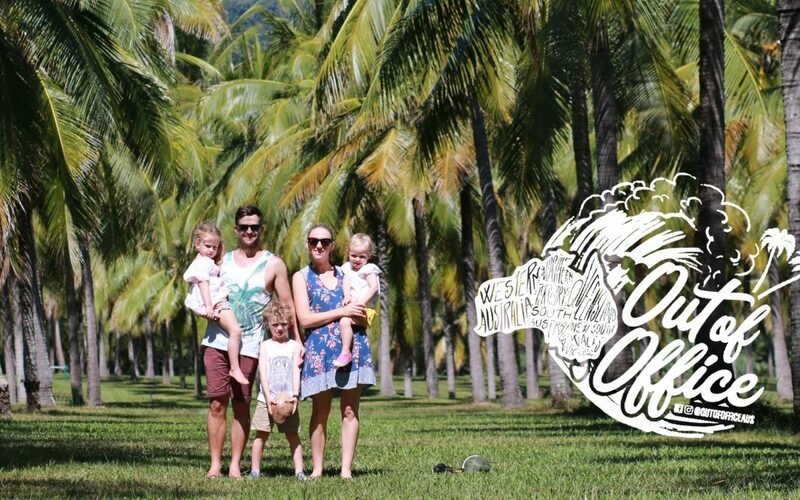 If we can inspire even just one other family to take a sabbatical as we are and live the Aussie dream for a year, we’ll be stoked! We do however know it won’t all be a dream land of bubbles on the beach watching the sunset while the kids frolic on their own not annoying us one little bit… we are also realists, we know they are called ankle biters for a reason, we know our kids love a good barney at the best of times, let alone when they don’t have the time apart that school and daycare provides, and when they will be restrained in the back seat of the car for hours and hours on end. That funnily enough is not my biggest fear on this journey we are embarking on… I’m more of a nervous Nancy about scary things… about snakes, about the car breaking down and living out very own Wolf Creek nightmare, I hate to even think about it, but I do freak about the freako people out there these day. Makes me so mad that there people out their trying to harm innocent kids. Anyways, enough negativity, let’s talk about some of the epic spots we plan on visiting… and planned we are, I’m a self confessed organiser. If it wasn’t for the the fact that we want to be able to discover and explore places we ﬁnd along the way, i could deadset just about book every stop on our trip! I do often get heckled for being too much of a planner and not enough of a winger but I do genuinely enjoy researching a destination, being organised and not have to think too much about it along the way. 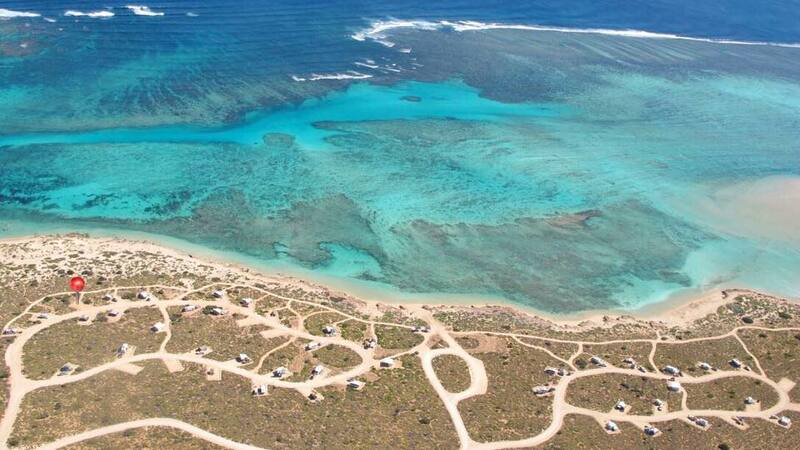 We’ve booked some epic camp sites already along the way… Green Patch NSW South Coast, Lucky Bay WA, Osprey Bay WA, Cable Beach WA & Elquestro Station WA to name a couple! I’d just hate to ever miss out on getting a spot there. Another hugely exciting aspect to our trip is having friends and family meet us along the way… this has also contributed to having a nicely planned itinerary. We look forward to sharing with you guys how easy it can be to have friends and family join for part of the road trip… whether it be through some incredible Air BnBs in WA where we’ve been in touch with the owners and we camp out in the caravan on a property while our mates are in the house or caravan parks with a powered site and cabin nearby or better still, get your mates to hire a 4WD and camper trailer from Broome or Darwin and get a taste of the top end! 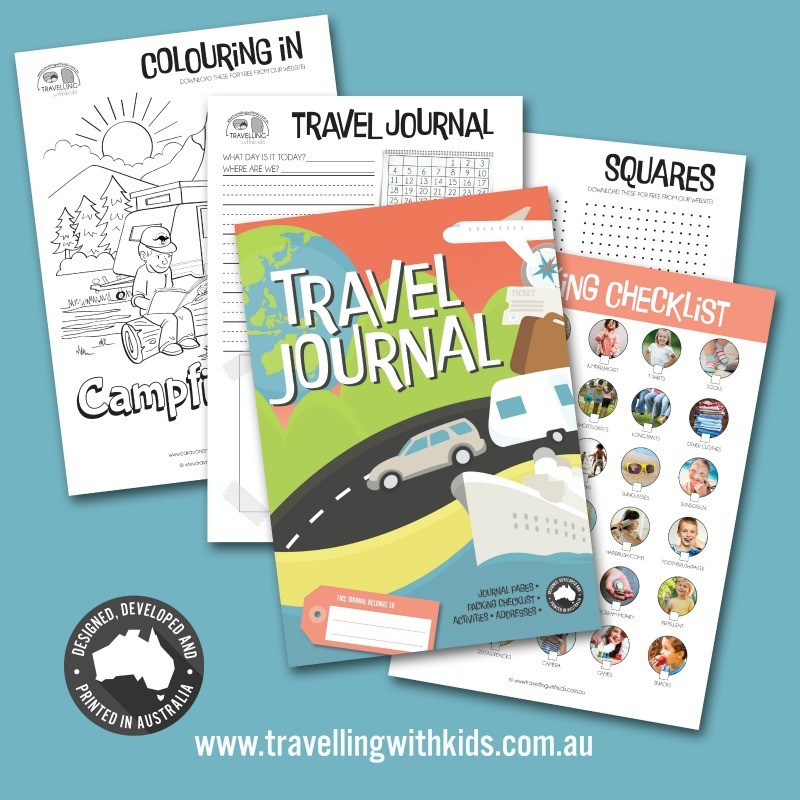 One of the most popular items in the Caravanning with Kids SHOP is our popular Aussie made Travel Journal! I can’t wait to hear about all your adventures Forster family!